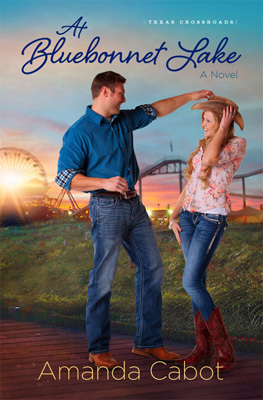 The last thing Kate Sherwood needs is a man, so why is she so drawn to the handsome handyman at the Rainbow's End resort? Marketing maven Kate Sherwood's world is fast-paced, challenging, and always changing. The last thing she wants to do is slow down to a crawl at Rainbow's End, a dilapidated resort in the Texas Hill Country. But she cannot deny her ailing grandmother's request to visit the place where she and her deceased husband spent one glorious week (albeit fifty years ago). There Kate meets Greg Vange, the resort's handyman. But there's more to Greg than meets the eye - billions more, in fact, as he recently sold his successful software company and is at the resort in search of what's next for his life. Kate didn't come to Rainbow's End looking for romance, but she can't deny the sparks of attraction that fly every time she and Greg are together. She even starts to see potential in the rundown resort. Could there be a future there? Or will Kate's long-sought promotion take her back to the big city?